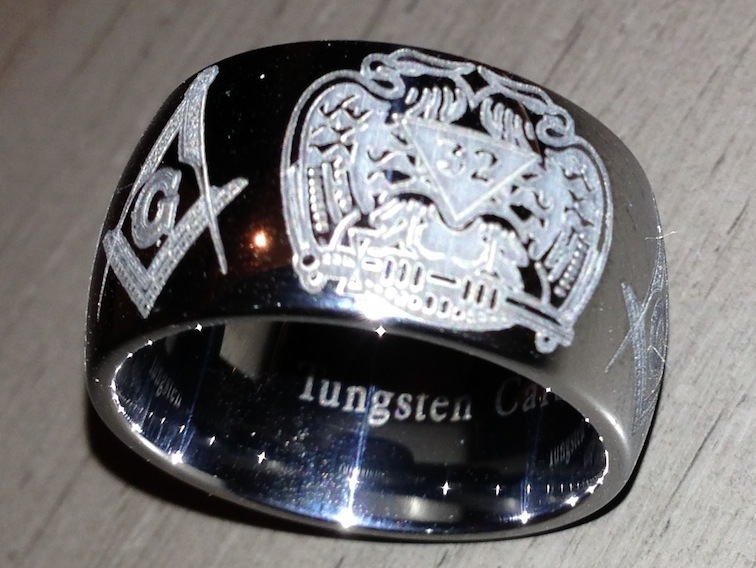 This beautiful ring is made for the brethren belonging to the Scottish Rite and who have reached the 32nd degree. It is made of Tungsten Carbide. It is at the same time discret, and visible enough for members who would recognized the symbols easily : the Double Headed Eagle with 32 inscribed, and the Square and Compasses . It has a good feeling when you wear it.